Last year, the Park Service threw us the most amazing curveball by putting those Wonderland Trail (and all wilderness camping) reservations online! No longer do you have to find someone with a fax machine (always look in the corner- it’s usually next to the rotary phone) and beg them to borrow it or figure out how to use the odd, unwieldy device containing ink to make letters and numbers. Hurray for modern times! The reservation system will be ready to rock again this year starting on March 15th, 2018, so have your itineraries ready to roll and your lucky rabbit’s foot (gross) or maybe a crystal or whatever you need to rub to make it happen. Work with karma, you know, let a few people cut in front of you at the coffee shop, don’t run that yellow light, and help someone get the shopping carts unstuck from one another. Getting those permits is tough. You gotta do, what you gotta do. In the meantime, I’m rooting for you like a good vibe cheerleader…with the pom poms from my toque (also, here is a marmot toddler to make you melt and keep your heart happy). Ready, Set…Permit! If you are a “cold-sleeper” and teeth-clackers, you know who you are, I’ve put together a few tips which might help you retain some warmth on your summer backpacking adventure, once the sun goes down. Click HERE for the full article. Brrrr…it’s that 10pm surrounded-by-sleeping-bag shiver. Now what? Read on…. Wonderland Alert! This is from the Park Service late yesterday. 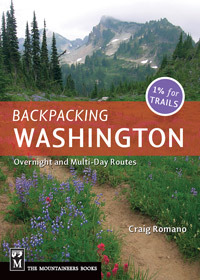 Check out Craig Romano’s Backpacking Washington book for your Plan B. He has some wonderful suggestions of other places where your jaw will be dragging along the trail due to eye-popping beauty. In the meantime, I’m keeping my fingers crossed for you all! March 31, 2015: As of late this date the park has received more than 2,360 wilderness reservation requests just since March 15. The majority of these are for hiking the Wonderland Trail. This is a record for the largest amount of reservation requests received for the period of March 15 – March 31. Given the number of applications we have already received we will not be able to successfully fulfill all requests, specifically those for the Wonderland Trail. Heads up! This came from the Park Service as of noon yesterday. March 26, 2015: As of noon this date the park has received 1,620 wilderness reservation requests. The majority of these are for hiking the Wonderland Trail. At this rate we are on track for equaling or breaking the record for the largest amount of reservation requests received for the period of March 15-March 31. This does not bode well for being able to successfully fulfill all requests, specifically for the Wonderland Trail. Sigh. But don’t fret yet and have a Plan B that is equally exciting. 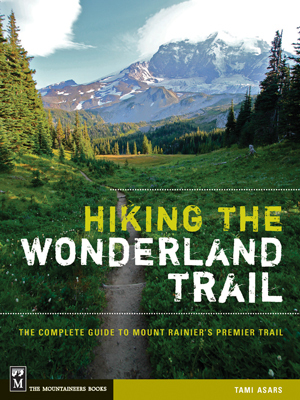 If you don’t get a permit, but still want grand vistas, and wonderful crowd-free locations, please pick up a copy of Craig Romano’s book “Backpacking Washington” which will give you tons of great suggestions for unforgettable backcountry romps. Seriously, this State is teaming with places that will make you misty and keep your head spinning!